The Town has received some additonal hours. If you are interested in applying please do so by Monday, December 4, 2017, 4:30 pm. We require workers to complete work on the war memorial. •	All positions are open to both women and men. •	Workers can be employed for up to 400 hours. •	Individuals who require more than 400 hours of project employment in order to obtain EI benefits are not eligible to participate. •	Individuals must qualify for EI by the end of the project. Further information regarding EI eligibility is available from Service Canada. 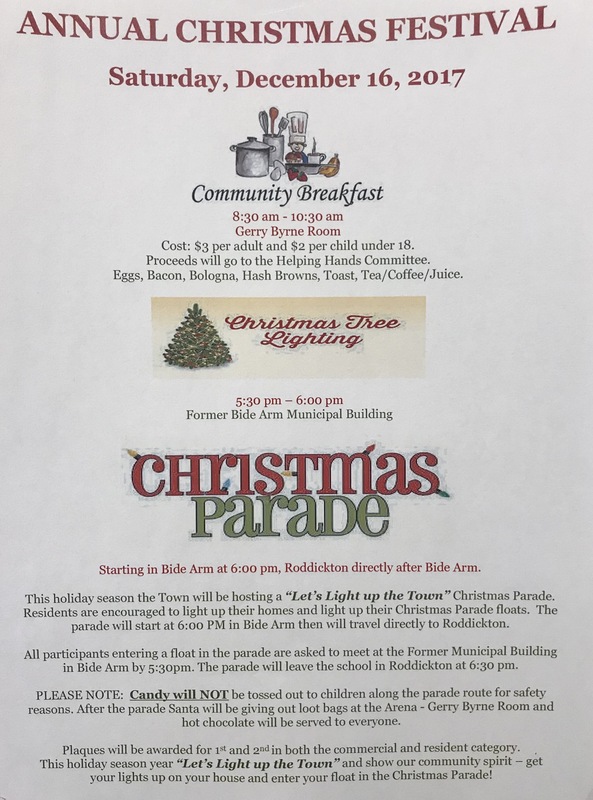 For more information, or to apply, please contact the Town office at 457-2413 or drop off a resume including ROE (s) to the Town Office at 81 Major’s Street by 4:30 pm, Monday, December 4, 2017. The road will be closed on Collegiate Drive near the Pentecostal Church for the remainder of today, Nov. 30 and possibly tomorrow, Dec 1. Residents are asked to respect the closure and not travel pass the closure signs. Sorry for any inconvenience this may cause. The regular meeting scheduled for tomorrow evening, Nov 21 will be starting at 7:00 pm. The road from Foodland to the intersection of Harbour Drive/Major’s Street will be re-open this evening. However, it will be closed again tomorrow, Nov 17. Thank you for your cooperation.